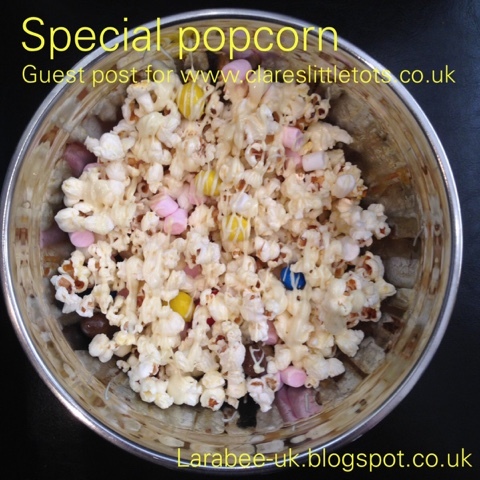 I recently guest posted for one of my favourite bloggers Clare's Tots, Clare is a childminder who blogs, she has the most brilliant food ideas and great children's activities. So without more of an ado, Click on the photo below to head over to the post. I really hope you like it as much as we did! Thanks so much for having us Clare. Yummo! We do something a little less awesome and just put a few jelly bellies at the bottom of a bowl of microwave popcorn :-) Kids love it. 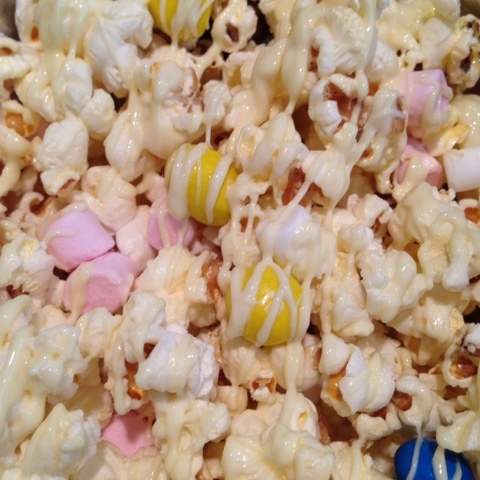 Yum, yum and more yum, popcorn and chocolate and marshmallows. You are doing my thighs no good at all lol!